Let Mercantile Claims assist you with Diamond Resorts International Timeshare Release, Claims and Compensation. Owners of Cromer Country Club timeshares often find themselves trapped in infinite contracts with rapidly increasing resort maintenance fees which ultimately stems from a mis-sold timeshare contract. Over recent years there have been a number of ground-breaking rulings regarding mis-sold timeshares by many timeshare groups and resorts which have resulted in refunds and compensation. Many owners of Cromer Country Club timeshare contracts are entitled to, or have already made claims. 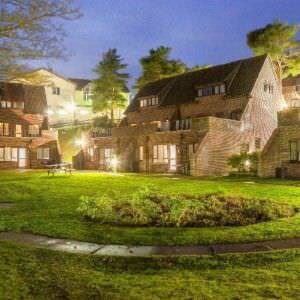 There has been a huge increase in timeshare release enquiries and complaints from customers with Cromer Country Club timeshares. If you believe you had a Cromer Country Club timeshare contract mis-sold to you or you wish to be released from your timeshare contract, please contact one of our experts at Mercantile Claims or fill in the form below. Let Us Help You With Your Diamond Resorts Cromer Country Club – Norfolk Timeshare Release Today! Our team here at Mercantile Claims are always on hand to help you with any issues, concerns or questions you have regarding your timeshare contract. Below you will find some comments and feedback received from Cromer Country Club Guests and Owners. If you have a more specific question please contact our team of experts and we will respond with an answer as soon as possible. Deceptively Expensive - Not what we expected! Restaurant Staff – polite and gave good service. As we had pre-booked a meal at the restaurant for the evening we arrived to celebrate the eve of our anniversary. They had allocated a nicely but simply decorated table in the corner of the room to help mark the occasion, which we thought to be a nice added touch. Two staff members, in particular, gave exceptional customer service being Lizzy at Reception and the other being Becky at the Restaurant/Bar. A big thanks to them and the restaurant staff from us as unfortunately the rest of the staff at the resort park, we feel had huge question marks above their heads so to speak regarding a professional approach and good customer service skills! Unfortunately, in our opinion the negatives far outweighed the positives. It’s not really much of a country park style setting just a bunch of holiday villas all banked up next to one another with that usual resort feel to it. Walking areas were very limited and restricted with steep inclines. The resort had a golf course attached to it but if one chose to take a leisurely stroll towards that direction, then one did so at one’s own risk given the warning sign which stated the same, after all the last thing one would want is to risk a golf ball hitting you goodness knows where from out of nowhere! Restrictive facilities amenities and environment: Provided they are in working order, available for use and of course providing you pay for it as they literally charge for everything here! Don’t expect to visit the lighthouse close by as it is off limits to the public, only available for the odd school excursions apparently. You can walk to it but cannot enter. This resort itself is situated in an extremely hilly environment with lots of steep inclines amongst its surroundings. Parking is a nightmare and is extremely inconvenient and limited. Unless you are placed near the entrance end of the complex itself with your villa, expect a long upward hilly walk ( not fun when you are checking in and out with luggage!) to your designated villa. Hence a word of warning to those who may have a physical disability or mobility issues, or people who rely on pushchairs for their children – you may need to think otherwise regarding accommodation at this particular resort. Upon initial inspection of the villa itself on arrival, it appeared clean and was furnished however the maid service had not adequately replenished standard complimentary items such as kitchen roll, tissues or even toilet roll! A little slack perhaps when it is not cheap to stay here and you are charged exuberant prices per night at this country club accommodation! Also unless you have had it included in your pricing at the time of booking, expect to pay for everything including having to pay extra every time you choose to use their facilities such as pool, sauna/steam room, jacuzzi, gym, and sports room. Additionally, you are charged £1.50 each, per “every use” of a towel for such facilities ( Jacuzzi, Sauna, Pool etc.) and are not allowed to bring along or use your own towel! Absolutely ridiculous in our opinion! Furthermore, Wifi charges, in our opinion, are horrendous and totally unacceptable. Expect to pay £9.00 per day each for use of Wifi. Again, ridiculous and a total rip off! Invest in a dongle as other reviewers have wisely suggested on here! Also, upon arrival at this resort, we were asked by a “Louis” at reception to pay a minimal deposit on our credit card – he informed us that this was just in case we “damaged” or “stole” anything – rather blunt and to the point, don’t you think?! There will be more regarding our experience with Louis later in this review! We were also given an introduction letter upon checking in, which stated in effect that building work/refurbishments of the villas were being conducted and that also the wifi hubs in each room were being upgraded and workmen must be allowed access at any given time into your accommodation! ( let alone having to put up with the noise and dust!) Lovely, just what you need for a nice quiet relaxing break!!! We would think that this sort of thing would be done with consideration – during the time a person has vacated their room and the time a person vacates the room as you have to vacate by 10am and you cannot check in until 4pm! So there is ample time during the day for upgrades/renovations/refurbishments/building work etc… to be conducted rather than grossly inconveniencing and disturbing the guests and we feel this is extremely intrusive for the good paying customer! Not very impressive that notice is given to you “after” you have paid your deposit and checked in and the fact that you are also not given any prior notice/warning or knowledge of this beforehand or at the time of booking!! On the Monday of our stay here at this resort, the day before ( the Sunday), we specifically requested for no maid service nor to be disturbed all day that day, as it was to be our wedding anniversary on the Monday and we were only staying at the resort that one full day (the Monday itself). On the Monday at 10am, we were confronted by an extremely loud and constant drilling, hammering and banging directly above our villa roof, this continued until 4.45pm that day! So much for a quiet and restful short break!!! We had no alternative that day but to vacate our villa due to the constant horrendous noise and dust as the workers were re-tiling the terraced roof directly above us and we were told by them that they were working on one roof per day and it just happened to be the one above us!! Very inconsiderate and very bad management organisation considering this resort knew in advance that this was to be our special day and the only full day we would be staying there at this resort! Incidentally, by the way, refurbishments will continue throughout May 2014. To continue, we then thought we would have a jacuzzi but No!!!! We were told by a Catherine at the reception that somebody had put too much chlorine into the jacuzzi and it was out of use, most likely for the rest of the day! (which it ended up being! )…At the time, we asked her when could we expect the jacuzzi to be back in use? In our opinion, we found Catherine’s reply to be lacking in good customer service skills as well as extremely unsympathetic and abrupt in her manner with a slight obnoxious tone to her voice! We then mentioned to Louis at the reception that workers were making a constant noise on the roof of our villa with lots of dust pouring down around the outside of it due to their working and that we had specifically requested not to be disturbed. His disgusting and totally unacceptable reply was “ Well, it’s just bad luck!” In our opinion, this comment made by Luis was totally rude, unsympathetic, out of order and most certainly unprofessional, no empathy whatsoever! In fact, he just smirked and neither he nor Catherine suggested any alternative for us. We then went for a walk and finally returned back to our villa at around 3.30pm. We made a phone call to reception to cancel a cab we had previously pre-booked. We were asked if the banging and noise had stopped, our reply was no, they’re still banging! We were then told to hold the phone line, then another staff member asked if we’d like to be moved. We immediately informed them that it would be a completely pointless exercise especially at that time of the day as we had to check out by 10am the very next morning and it was just simply not worth the upheaval especially as we had already suffered enough inconvenience, disturbance and disruption throughout our very short stay as it was! As far as we were concerned, this should have been addressed much earlier during our short stay as they obviously had spare villas available! Nobody informed us on our arrival that we would be subjected to this, again, very bad management organisation! If refurbishments need to be conducted, they should most definitely “not” be conducted at the time and expense of the paying customer’s stay, who pays exuberant prices to stay at this so called “3-4” star resort accommodation! Actually, when reflecting upon it all, you might expect this kind of thing at an overseas resort like Spain for example but you do not expect it in your own home country. We would actually rate this place a sub 3 star especially where so-called customer service skills which are lacking are concerned, it most certainly did not excel our expectations, very unacceptable! Staff training and customer service skills could really be worked on and drastically improved including knowledge from management of scheduled refurbishments and facility maintenance, fault finding techniques for example “a spa bath in the room is not functioning”, when fortunately in our case this was rectified by Lizzy, saving maintenance entering our villa room unnecessarily, initially scheduled by Louis! Lizzy helpfully advised us to check the fuse switch in our villa, we did and it worked! However had we not approached her regarding the matter, after initially reporting it to another staff member, we again, could have been subjected to even more interruptions and disruptions by maintenance and this resort as a whole! On site Restaurant: ( Amber Restaurant ). Food was cooked adequately and polite restaurant staff. Set menu for courses only. Moderate to high prices ( depending on what you order of course). We only dined there once and had cod, chips, peas and one bottle of white wine ( on the cheaper scale end ), no dessert, no entrée and it amounted to £33.00 for the two of us. Price wise, elsewhere, we’ve had a 3 course meal including a bottle of wine for that price! Dismally repetitive needs drastic improvement! Same individual night after night! Resort should truly secure the services of professionally trained vocalists and entertainers! Our opinion is this: We do not recommend this resort for reasons outlined but especially to the following: those with physical disability/mobility issues, families with very small young children who rely on pushchairs, and most certainly not for couples in search of that “ideal” quiet romantic getaway/break! To summarise and to conclude: In our opinion, we feel that this resort is not worth the money spent and a rip off!. You do not get any free complementaries or quality services, everything is chargeable and is way too expensive a payout for the little you get in return! Also check in and check out times are ridiculous! You cannot check in until 4pm and you have to check out by 10am the next day. Also, we wanted to further note here that even though you have to check out by 10 am the next day, despite them saying to you that you can hang around the resort after then ( even though you’ve paid for that day effectively), you effectively lose a day and who wants to hang around after you’ve officially checked out so to speak and once you’ve loaded your car and have been booted out of your villa by 10am, especially when you do not want any food/drink to spoil as you no longer have any fridge facilities and you’re charged for everything else! All in all whether it be in response to our review or otherwise, a written or verbal apology or excuses for that matter, are totally unacceptable, not when you the paying customer pays exuberant prices to stay at a place like this and it is also too late because issues need to be immediately rectified so as to not impede on your all important holiday break/occasion. We received no official apology or more importantly no compensation whatsoever for our huge inconvenience when we paid good money to stay here as any good paying customer would. Furthermore, the noise and inconvenience experienced by these refurbishments is more, like an industrial building site than a holiday resort! Plenty of noise, dust, but no gold, no glitter and it certainly is no diamond! We will thankfully “not” be returning to the “Cromer Country Club Resort” nor will we be recommending it to others! A wise tip: Don’t just rely on the positive reviews of an accommodation, read the negatives also, they are there for good reason! You have been warned. In our opinion, Stay elsewhere! Cromer Country Club over books their accommodation which means you are playing Russian roulette as to whether they will actually have any accommodation on site for you. We booked 9 months in advance and were contacted on the morning of our stay to be told they did not have accommodation for us due to “administration errors”!. Other reviews identify this as being company practice as their policy is to overbook the actual accommodation that’s available on the off chance that others may cancel. The benefit to them being no risk of loss of income from unoccupied villas. Alternative accommodation was found which we did enjoy at a local hotel. Not the first offer made which was on a caravan site. Yes, the hotel incurred them an additional cost and I imagine the caravan site would have offered a partial refund. This said who in their right mind would book a family holiday if they didn’t know where they would end up staying!!! I would love the management to place themselves in the position they place their guests in trying to explain to young children the options available. I certainly did not enjoy the experience of my daughters in tears not knowing whether we were to have a family holiday or not. Booked to stay at Cromer Country Club for a week from Saturday to Saturday and it was my wife and myself first visit. The check-in reception is small and not ideal when most are attending for the 16:00hrs arrival, the parking outside is a complete joke and not practical for the elderly and infirm, especially as for most would have undergone a long journey to get to Cromer. There is no allocated parking (only the very limited disabled bays) and at times you would find it lucky to park at all. We stayed in a studio apartment ground floor and found it to be very noisy with the occupants above, not entirely their fault due to the poor layout of the apartment. The living room is a rectangular shape with a double bed one end and with a TV on the opposite wall. To watch TV in bed you would need to turn the TV volume up high and use binoculars. The floor/ceiling was very thin so you can hear every slight movement. In our apartment, the carpet was badly stained although it was vacuumed and the kitchen was practical but only big enough for one person. The bed was lumpy and the bottom sheet too small to properly tuck in. The pillows were a disgrace with absolutely no life left in them, how the service cleaners could even attempt to fluff them up is beyond me, it must of been like trying to give the kiss of life to a road kill. The shower cubicle (no bath) was very small, I’m not a large person and it was virtually impossible to wash properly and the shower head either needed cleaning or changing. Entering and leaving the site is a disaster waiting to happen when using their barrier system, when exit or entering in a vehicle you have to position your self on the wrong side of the road, leave under the barrier and then jockey to the correct side of the road before you encounter a head-on collision with other road users coming around the corner in front of you. This has to be seen to be believed, if there is a case for health & safety it is surely here. It goes without saying that visiting this place was a big mistake, we paid for a week and had left by early Wednesday morning… ……… never again. Although we had booked several months in advance, we were informed on arrival that, due to a system’s error, our studio had been double-booked. This had happened to a number of people. We were offered alternative accommodation (bed and breakfast) at the Red Lion Hotel in Cromer. This was comfortable but was not the self-catering we had booked and did not have a swimming pool. Cromer Country Club would have provided transport to and from the hotel so that we could use the facilities but after all the fuss I never want to set foot in Cromer Country Club again. Sorry, there’s no room at the inn! I would love to be able to say that we had a fantastic time like so many others have mentioned in their reviews, but I can’t because my partner and I never got to stay at the Cromer Country Club. After booking a studio for a weekend getaway four weeks ago, my partner and I arrived on Saturday 27 April 2013 only to be told that there had been an administrative error and that the resort was over booked. We were informed that we could not stay the night and were offered accommodation in the neighbouring towns of Great Runton or Overstrand as an alternative. When we enquired as to how this had happened, we were told that because it was a timeshare ownership, those who pay the thousands of pounds each year to maintain the properties are given preferential treatment. Unfortunately, due to the good weather that had been forecast for the weekend, several people had decided to stay longer and therefore the accommodation that we booked was no longer available. I can understand that those who own or pay the large sums of money to Diamonds Resorts for the privilege of staying in their properties worldwide should be given the opportunity to fully take advantage of the facilities that such resorts offer, but to use it as an excuse as to why there was no accommodation available is completely unacceptable. Clearly my partner and I were not valued (or should I say paying as much) as the two couples we saw check in prior to us. To top it off, we were informed that this sort of situation happens quite regularly. I can only assume that this comment was to try and offer us some lurid satisfaction that we were not the only people that this had happened to. But all of this does not explain why, having known that they were overbooked for a week (confirmed by the deputy manager), we were not informed of the “administrative error” until we arrived on the Saturday afternoon. Had we been contacted and informed prior to our arrival that the accommodation we had booked was no longer available, we could have negotiated another weekend or requested a refund. However, this option was not given to us and we had no other choice but to accept the offer to stay in another location. This was far from ideal and was definitely not the “20 minute walk from the centre of Cromer” we had been told it was. All in all, i would definitely not recommend booking this accommodation unless you are a timeshare owner because you may find yourself staying in Kings Lynn during the busy summer months or peak periods. All I can say to the Manager of Cromer Country Club is thank you for spoiling what was meant to be a lovely relaxing weekend away. I would recommend that in the future, rather than feed your guests with lies, you are honest with them from the outset and notify them of your mistakes as soon as possible. Honesty truly is the best policy. Stayed in a 2 bedroom villa in May 2011 with my wife and baby which I booked through Cottages4You.co.uk. The master bedroom was tiny, there was a standard double bed but only about 1 foot of space between the foot of the bed and the wall, and the window side of the bed and the wall. The bed itself was too small for comfort, we have a king size bed at home and it felt like sharing a single bed, my wife was pregnant which didn’t help. The sofas were horrible, again too small, covered in watermarks where stains had been sponged off, threads were hanging off the armrest covers and the sofas themselves were cheap and uncomfortable. The owner had very kindly left a VHS video player in the living room with a selection of videos so we could pretend it was the 1980s. There was a strip of laminate skirting trim in the vase when we arrived. The second bedroom and bathroom had a funny damp smell, probably because there were no back windows so you couldn’t get any air circulation through the flat. The heating or cooling system, not sure what it was, looked like it was from the ark so we didn’t attempt to use it all week. The plastic toilet seat came completely off half way through the week. The shower curtain had ripped away from the last 2 eyelets. The extractor fan in the bathroom came on automatically with the light, sounded like a spaceship taking off and stayed on for 10 minutes. Very annoying in the night or when you are watching TV and pop to the loo. The plastic bath panel was caved in at the foot of the bath on one side. The layout of the accommodation was bad if you have young children. Both bedrooms were directly off the living room area, which made watching TV at normal volume with a baby sleeping 8 feet away difficult. The only good bits about the accommodation was the push button power shower, the kitchen, and the TV. Really disappointing overall. The Cromer Country Club itself was OK although not quite what I would expect based on the country club moniker, it did have a nice, very clean indoor swimming pool, jacuzzi, steam room and sauna. The food in the restaurant was good value for money. Try the sharing platter, it was excellent. Staff at the check-in desk were lovely and I couldn’t fault the customer service at Cottages4You, they offered to relocate us but the alternative was 7 miles inland with 1 bedroom which wouldn’t work with a baby who goes to bed at 7:00PM.